Flawless in its finish, this outstanding home introduces a thoughtful layout with modern interiors, multiple living zones and quality fixtures throughout. Ideal for a family of any size, with schools and recreational facilities just down the road – there’s nothing left to do but sit back and enjoy all this wonderful property and the area has to offer. ~ Master bedroom consists of a walk-in-robe, ceiling fan and ensuite. 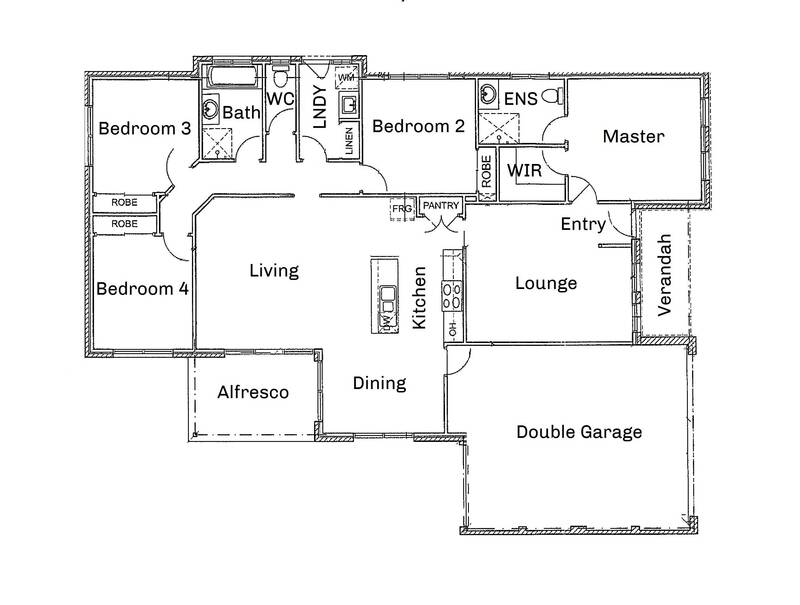 ~ The three remaining bedrooms are privately zoned with built-in-robes, and offer easy access to the main bathroom. ~ The chef’s style kitchen is both stunning and practical, superbly appointed with an Omega dishwasher, 5-burner oven, plentiful storage, plumbed fridge cavity and stone benchtops; bringing the family together during meal preparation and casual dining around the breakfast bar. ~ Light and bright open-plan living and dining area offers direct access to the decked alfresco and surrounding landscaped gardens; complete with leafy vegetables, vine fruits and child-friendly lawns. ~ A second lounge room is positioned at the front of the home. ~ Climate controlled by ducted heating and split system heating & cooling in the main living zone. ~ Double garage with internal access and rear roller door. ~ Further outdoor features include a garden shed and 4,000lt water tank with a pump for garden use.